The “8” in SPARTA BCAA is for the total dosage of BCAA’s you receive per serving. While most amino acid drinks use 5g of BCAA’s, SPARTA BCAA contains 8g of BCAA’s in the clinically validated 2:1:1 ratio. Ignore that 4:1:1, 3:1:2, or 8:1:1 mumbo jumbo - it’s all marketing hogwash that isn’t validated by a scientific trial. BCAA’s, or Branch Chained Amino Acids, are made up of Leucine, Isoleucine and Valine. BCAA’s, most notably Leucine, have been shown in studies to initiate protein synthesis by activating a pathway called mTOR. This activation of the mTOR pathway is what signals the body to build muscle. Most studies show that 3g of L-Leucine is needed to maximize muscle protein synthesis in a single bout. But including 8g of BCAA’s in SPARTA BCAA, you are guaranteed 4g of L-Leucine per serving. Enough to maximize muscle protein synthesis for lean muscle mass gains and then some! BCAA’s are also anti-catabolic. This means that they prevent muscle breakdown, which dramatically helps improve muscle recovery from exercise. Muscle growth, and recovery, is based on your net protein synthesis rate. There are two factors that go into this rate: Muscle protein synthesis (MPS as we will now call it) and Muscle Protein Breakdown(MPB as we will now call it). When MPS is greater than MPB, the net result is a positive protein balance. This leads to better recovery and even lean muscle mass growth. When MPB is greater than MPS, the net result is a negative protein balance. This leads to worse recovery, sore muscles, and the need for more rest. By manipulating this balance to be in our favor (A positive protein balance), we enhance recovery and muscle growth. What’s the best way to do this? 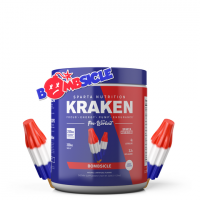 By including ingredients that help maximize muscle protein synthesis, such as the 4g of L-Leucine, and ingredients that stop muscle protein breakdown, such as the rest of the BCAA’s & L-Glutamine. Another interesting benefit about BCAA’s is there ability to delay fatigue from exercise. In one study, BCAAs one hour prior to exercise showed that BCAA supplementation was able to preserve reaction time after exercise. With an increase in endurance from the next ingredient we will cover, PeakO2™, this delay in fatigue fits perfectly with Keto BCAA’s main goal: To maximize your training. Citrulline Malate was included in SPARTA BCAA due to its Nitric Oxide (N.O.) increasing benefits and also for its ability to enhance muscular endurance via better blood flow. Citrulline Malate flat-out works when it comes to increasing L-Arginine and Nitric Oxide levels in the body. In one study, the group taking Citrulline Malate saw increases in plasma citrulline (173%), ornithine (152%), and arginine (123%) when measured after exercise. An increase in in nitric oxide levels helps blood vessels dilate for better blood flow. This leads to skin-tearing muscle pumps and a better mind-to-muscle connection while training. Not to mention, increased muscular blood flow is also extremely beneficial to an athlete looking recover better due to the ease at which nutrient-rich blood filled with BCAA’s (like the 8g in HYDRA8 BCAA) can be delivered to muscle tissue to begin the recovery and lean muscle mass growth process. Citrulline malate supplementation has also been shown to increase muscular ATP efficiency, allowing you to do more work while you train. Not only can you expect an increase in your muscle endurance while training, but, Citrulline malate also has been shown to increase force output by up to 23%! Say hello to additional strength gains! Citrulline malate is the perfect inclusion for an intra-workout supplement for its ability to enhance nitric oxide production (muscle pumps), increase muscular endurance and ATP efficiency, and also force output. So why isn’t this included in more intra-workout amino acid supplements? We’re unsure, as it's probably a cost factor. 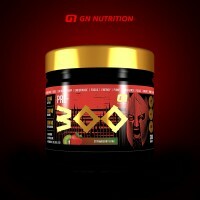 At Sparta Nutrition, cost is the last thing on our mind when designing our supplements. TeaCrine® is the ultimate ingredient for focus, concentration, and long-lasting sustained energy to break through performance plateaus, while keeping you in control with no crash. There’s a reason why TeaCrine® is included in both Kraken & HydraShred: It flat-out works. But why in an intra-workout BCAA supplement? 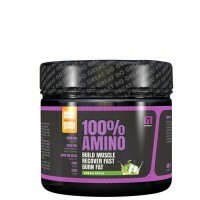 Offering a unique energy angle than other intra-workout amino energy supplements was the key reasoning for including TeaCrine® in SPARTA BCAA. It offers longer-lasting energy, won’t cause you to crash and enhances your mood and drive - a perfect ingredient to include for maximizing your training “feel” and energy levels. Caffeine is then included for an initial burst of energy. Caffeine has been proven in countless studies to aid in physical performance. The key: Not using too much caffeine to cause jitters or nasty side-effects. Using just a 120mg dose is the perfect amount to give you that much needed kick in the pants to get you going or re-energize you. 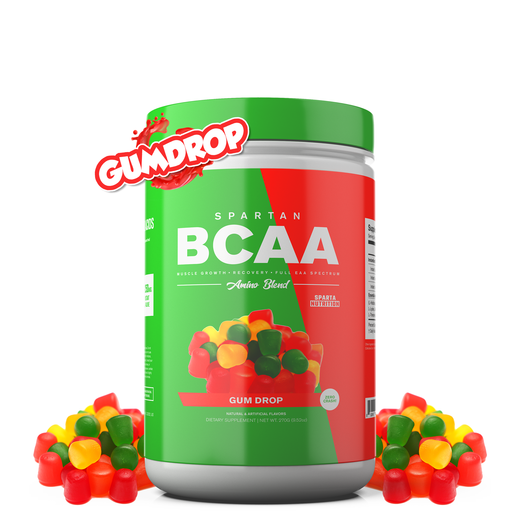 Coupled with a lower, safe dose of caffeine, it can even allow SPARTA BCAA to be used a pre-workout supplement for some who do not like excessive stimulants. 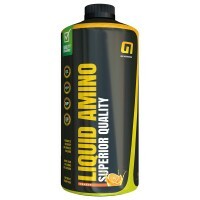 Glutamine is a conditionally essential amino acid well known for its ability to aid muscle recovery. It has great synergy with BCAA’s, especially leucine, since some studies have shown that it may enhance the post-workout anabolic response when coupled with Leucine. This is due to the fact that Glutamine, when combined with Leucine, reduces the rate of Leucine oxidation. Leucine is then allowed to do what it does best: Maximize muscle protein synthesis. Glutamine also increases one’s endurance and performance via a reduction in ammonia. Supplementing with Glutamine has been shown to be directly anti-catabolic, especially when one has a deficiency in L-Glutamine levels. In one study with patients with elevated Cortisol levels, a state where muscle catabolism is very high, the Glutamine group experienced less of a catabolic state via reducing essential amino acid conversion into glutamine, and less of a leucine expenditure. Remember our see-saw about the relationship between muscle protein synthesis vs. muscle protein breakdown. Minimizing protein breakdown is crucial for maximizing your muscle recovery from intense training sessions! Muscle recovery, growth and endurance. Three things SPARTA BCAA hammers on and ultimately exceeds through thoroughly backed scientific research. With muscle building and sparing BCAA’s (at a clinical dosage and scientifically validated 2:1:1 ratio) combined with high-quality anti-catabolic L-Glutamine, your muscle tissue will be protected and you can recover faster from intense training sessions. The anabolic boosting effects of L-Leucine will not only protect muscle tissue, but can also directly aid in adding lean muscle mass as well. One of the most crucial factors in adding lean muscle mass, however, is creating a stimulus for muscle growth. With Citrulline Malate, your training will reach a new level with an increase in muscular endurance and force output. Couple that with a unique energy complex featuring the novel TeaCrine®, your “halfway” point will feel like you’re just getting started. Super cool and trendly GN Smartshake Slim is an incredibly versatile, all-in-one drinking and storage solution.